A slowdown in Liberia’s Ebola outbreak and the continued rampant rate of infection in Sierra Leone may reflect contrasting ways the two countries are dealing with burials, the World Health Organization said on Friday. Ebola victims are most infections right after death, which means that traditional West African funerals, where families often touch the bodies, can cause the disease to spread rapidly. 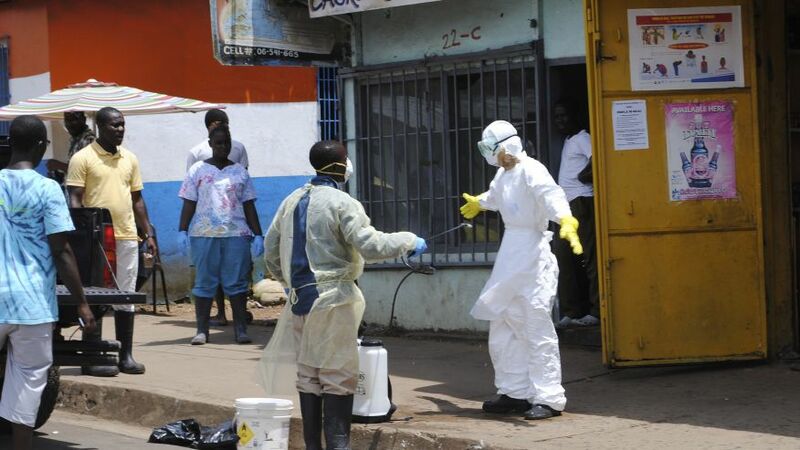 Pierre Formenty, the leader of the WHO’s Emerging and Epidemic Zoonotic Diseases team, said major efforts had been undertaken to make funerals safe, with more attention paid initially to Liberia than Sierra Leone. At least 4,818 people have died in the outbreak in West Africa, but while the spread is slowing in Liberia and stable in Guinea, two-thirds of new cases in the past three weeks have been in Sierra Leone. The Red Cross, which is leading the campaign for risk-free funerals, has conducted more than 2,200 burials in Liberia, but only 909 in Sierra Leone. In Liberia’s capital city, Monrovia, the delay between death and burial averaged three days in August. That period has now been reduced to less than 24 hours, meaning there is much less time for exposed bodies to infect anyone. However, it has proved more difficult to spread the notion of safe funerals in areas of Sierra Leone, where the disease is still rampant. “Monrovia was a capital, it was easier for us to be organized compared to the west part of Sierra Leone, where there have been some delays in organizing the teams,” Formenty told a news conference. The importance of burials to stopping Ebola was shown by the case of a traditional healer who died in Sierra Leone early in the outbreak. The WHO has said 365 cases of Ebola were later traced back to participation in her funeral. It is the first Ebola outbreak in West Africa, meaning that people were not easily persuaded to adapt their cultural practices to fight the disease because they did not recognize the importance of doing so, experts say. The WHO published a protocol on Friday to guide burial teams on how to conduct safe and dignified burials, with a 12-point plan that includes guidance on how to put a corpse into a body bag and sanitize the family environment afterwards.